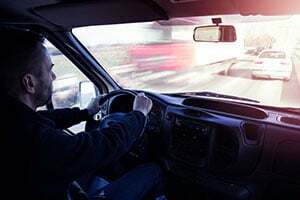 While being charged with a driving under the influence offense is a stressful experience for all drivers, drivers who are already on probation for a previous DUI or for another criminal offense may face harsher penalties. These drivers may be charged with a new DUI offense in addition to a probation violation and he or she may face lengthy jail sentences on both offenses. Drivers on probation who have been arrested for a new DUI offense should contact an experienced Los Angeles DUI lawyer as soon as possible. When a defendant is sentenced and placed on probation for a criminal offense, the sentencing judge will describe the terms and conditions of probation. One condition of probation that is always imposed requires that the defendant obey all laws and not commit any new criminal offenses. When a defendant is arrested for or charged with a DUI offense, the arrest or charges may be communicated to the sentencing court, which may issue a probation violation. If the new offense occurs in the same county as the probationary case, the judge on the “new” DUI offense may request the probation file and handle both matters together. If the probation case is in another county, the Court may deal with the probation violation independently of the “new” DUI case. The Judge on the probation case may revoke the defendant’s grant of probation if the defendant is found to be in violation. The judge can revoke probation completely and sentence the defendant to serve out his or her sentence in jail. The judge may also reinstate probation but add additional conditions, including community service or community labor or jail time. A driver may be charged with a new DUI offense while on probation for an earlier DUI. In addition to the probation violation, the prosecutor may use the prior conviction or convictions as a sentencing enhancement. If convicted, the driver would face mandatory jail time, a minimum yearlong driver’s license suspension and an 18-month or longer alcohol education class. In addition to whatever jail time is assessed on the DUI offense, the defendant may have to serve consecutive jail time or other penalties as a result of the DUI probation violation. The judge may revoke probation altogether and require that the defendant serve the remaining time left on the sentence in jail. In many cases, a defendant who is already on probation for a DUI offense and is arrested for a new DUI may also violate the term of probation requiring them to have a valid driver’s license and insurance. The defendant’s driving privileges may have been suspended as a result of the first DUI offense and the defendant may not have had a valid license at the time of the new offense. This would provide additional grounds for a probation violation as well as new criminal charges. The defendant could be charged with driving while on a suspended license in violation of California Vehicle Code Section 14601.2 VC. If convicted, this offense carries mandatory jail time. If the defendant was driving without having an Ignition Interlock Device (“IID”) as required, he or she can also be charged under California Vehicle Code Section 14601 VC. If you or a loved one have been arrested for a DUI offense and are already on probation for DUI or for any other offense, it is critical that you speak with a top-rated DUI lawyer as soon as possible. Michael Kraut is a former Deputy District Attorney with over 14 years of prosecutorial experience who is highly regarded as a top-notch litigator who fights hard on behalf of his clients. For more information about DUI while on probation, Mr. Kraut can be reached 24/7 at 888-334-6344 or 323-464-6453.